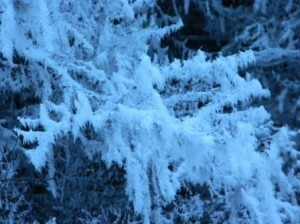 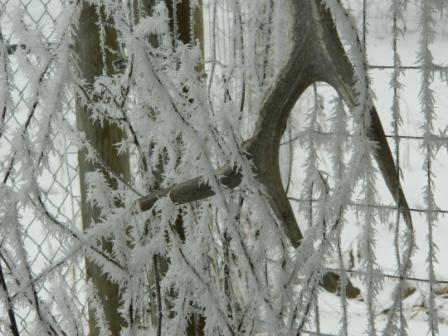 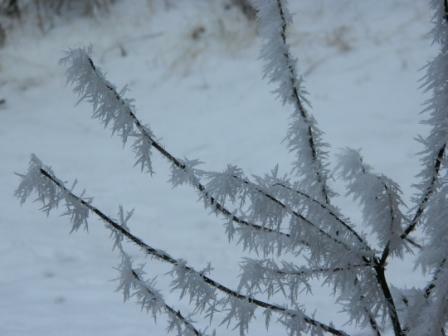 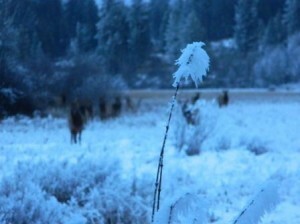 We recently got some new snow up at camp, but right before the snowstorm the hoarfrost was beautiful. I even had my camera. Scruffy has been cutting boards and sanding and painting on coats of polyurethane for the past two weeks. Now I am happy to report that his project is finished. 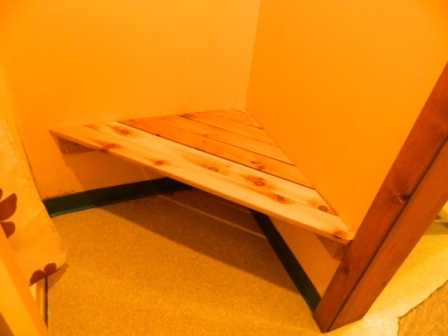 Two beautiful wooden benches now grace the shower rooms of the main lodge. 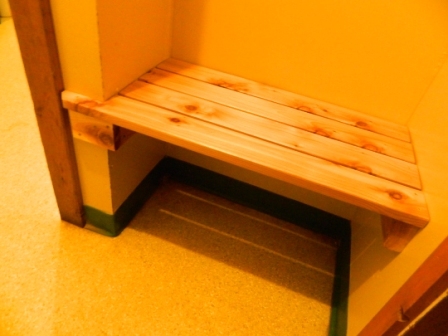 I present to you: The Shower Room Benches of Camas Meadows!